Carbon paper, manila folders and stacks and stacks of paper. In the age of cloud computing the notion that one of Cook County’s most important offices is still using systems that Charles Dickens would recognize would seem to be a problem. Nevertheless, it is how most cases are filed today in the office of Cook County Circuit Court Clerk Dorothy Brown. Illinois’s Supreme Court had imposed a Jan. 1 deadline to end paper filings statewide, but less than two weeks before that deadline Brown won a six-month reprieve. The new deadline is June 30. Cook County Commissioners plan to file a resolution calling for Brown to testify before the county board on why the office wasn’t able to meet the Jan. 1 deadline. Brown joins Paris Schutz to explain why it is taking so long to implement e-filing in the clerk’s office. Oct. 7, 2016: “It's important that we have a Clerk of Court that will protect court records for ALL the people, not just for the privileged few.” Learn more about this candidate. March 15, 2016: Incumbent Dorothy Brown declares victory on Tuesday night, winning 47 percent of the vote with 95 percent of precincts reporting. 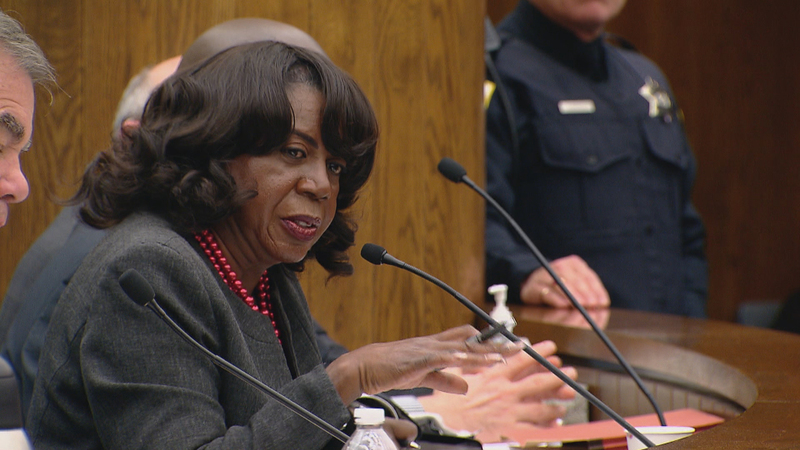 Oct. 29, 2015: Cook County Court Clerk Dorothy Brown talks about losing her endorsement from the county’s Democratic Party and an apparent federal investigation into her office.